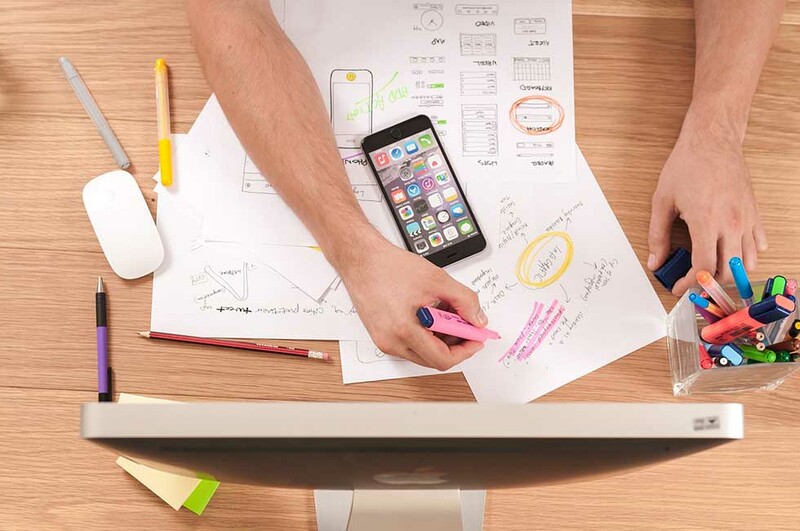 In the technology era where most of us can’t spend a day without looking at our phones, it is indispensable to have decent apps which help us to save some time. There are many apps for basically everything nowadays, and traveling is definitely one of them. 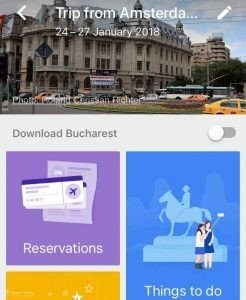 I have listed the best travel apps for iOS and Android here to help you before your trip, on the road and afterward. 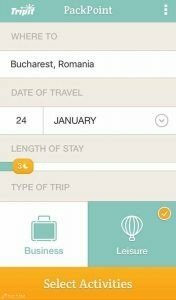 In Packpoint you enter the city, date of travel, length of stay and activities you’re going to do there. 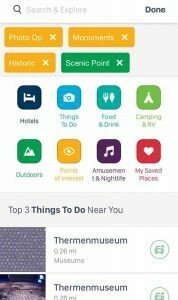 The app then gives you a list of essential things you shouldn’t forget, and you can add some stuff yourself. I find it so useful! Of course, there many things on the list I’m not going to take with me on a backpack (pack light! ), however, it helps to remember a few items. I wasn’t considering or even the kind of clothes I need to pack. 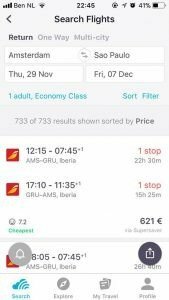 Skyscanner is probably the most famous website to search for good deals and cheap flights. This is also the app I always use to look for my flights and I like it because they do not have bookings fees. A big plus! Besides the price alerts that I can set up on the app and just receive a notification when it changed. 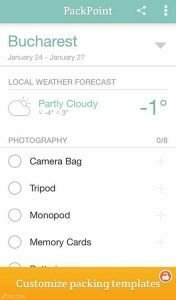 Something very interesting about the Skyscanner’s app is that you can customize your screenshot before sharing it with your friends, and the app itself gives you some options to share. 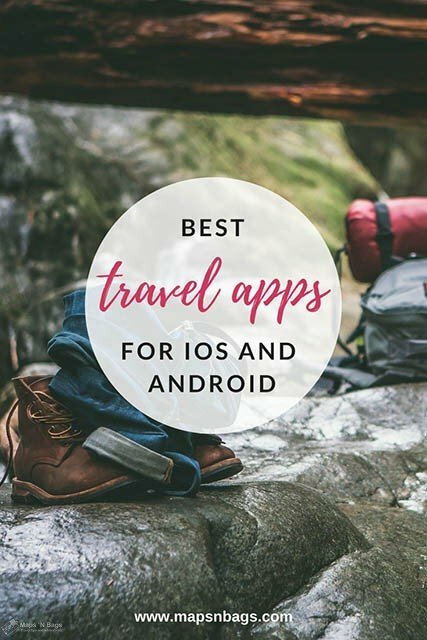 This is basically one of the most important apps in this list for your travel plans and, as usual, it’s totally free! Enjoy! Google is my God! He knows everything about me and probably about you too! 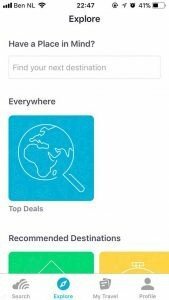 On Google Trips the app gets information from your email (Gmail) and creates a tab for that trip. There you can access your reservations, i.e. flights; basic information about the country, currency, emergencies, money, internet, etc. 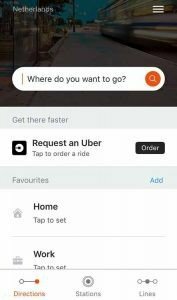 ; you can also check places to visit and save them, so you can find them easily later. 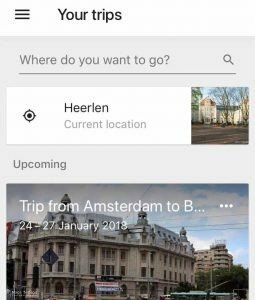 All information about your travel in one app! Fantastic, isn’t it? This app isn’t absolutely necessary, but it’s fun and nice to make a countdown to a trip, isn’t it? You select the date of your travel, a photo and name it, then the countdown starts. After that, you can take a print screen and share it on social media. This app is very famous and helpful too. Imagine you’re in the countryside of China and want to eat something, but you have no idea what it is on the menu. Google can translate from a photo or audio, so just take a picture of the text, highlight it and done! It’s a lifesaver and you can download the language you want so you have offline access. 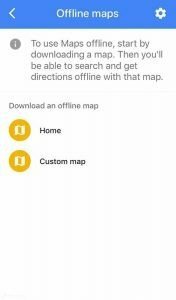 Google Maps is very useful because you can download the maps for 30 days on your phone. It can be a neighborhood, a city, a country. You can choose what you are going to download, but check the size of it first. 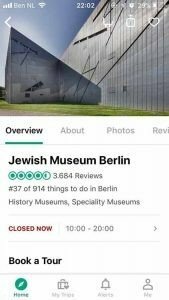 I find TripAdvisor good because I like to read the reviews of other people before going somewhere or visiting some museum, for example. 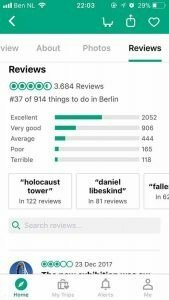 I know you can look for hotels, flights, etc in the app, but I don’t like to use the TripAdvisor for that. 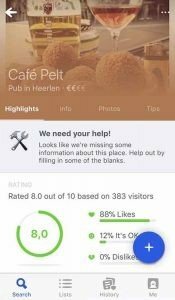 FourSquare is quite famous, so maybe you already know it, but in case you don’t… in this app you can find the places to eat, drink, dance or things to do around you, as well as save the places to find them later or even check in and show your friends where you are. It has customers’ reviews and price range too. This is the only app which is not for free, so if you’re not a member of Netflix, check out their plans. I’m not an affiliate, I just love them. I watch it every day and even when I’m on the plane, train, etc I watch the episodes I made available offline on my device. Very useful for long connections and flights. If you’re traveling with your pet and want to find someone to dog sit or walk your dog for you, on Rover you can easily meet trusted pet care around you. There are a few interesting features available, such as GPS tracking of your dog’s walk and photos updates. 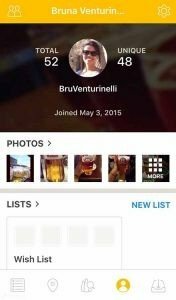 This is a brew socializing app. So beer drinkers, this is for you! 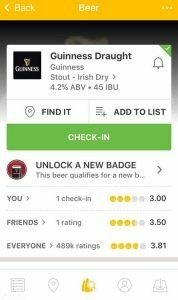 Untappd allows you to check in the beer you’re drinking, give your rating to it and even suggests similar beers based on your taste. 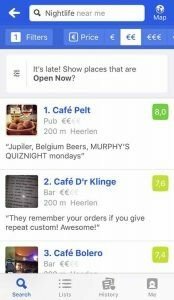 There are even options to look for trending beers or beer locations around you. To motivate you to try new beverages, you receive badges and can level up. I like this app because I love to taste the local beer (and food of course). 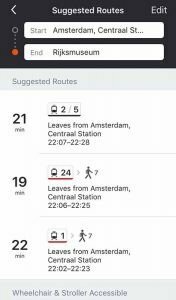 Moovit is a great app to check the public transport’s schedule and plan your trip in the city, so you always know which line you have to take to reach your destination or the closest station near you. There is even an option to set some bus/ tram lines as favorites and have quick access to them. 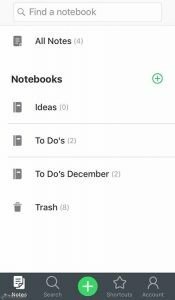 I use Evernote whenever something comes up to my mind that I can’t forget, and I don’t have a pen in hand, which is almost all the time. This app is very useful to write down categorized notes because you can create notebooks and inside each one of them you type your notations. 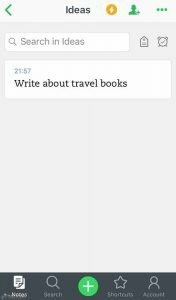 There are tags options to add, reminders, you can synchronize it with your computer…everything so you can travel and still keep things organized. Okay, this is the last Google app! I don’t know about you, but I love to take photos. Who doesn’t actually? So whenever I have WIFI I upload my photos to Google Drive, as a result, I create more space on my phone for more photos and keep them safe in the cloud. 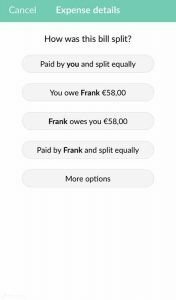 With this app, you can convert between currencies with the latest rates or with the last rates your app was updated, in case you’re offline. This is handy because even if you’re not online you can still make quick conversions and know, i.e., if some prices are abusive or not. 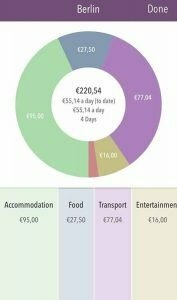 I like to keep track of what I spend on my travels, and as a visual person, I prefer to see this information in a chart. 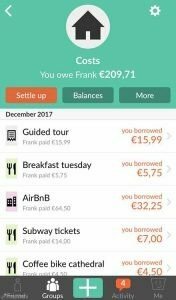 On Trail Wallet, I add my travel expenses and get a pie chart, so I can identify quickly where I’ve spent more if I’m above the daily budget I’ve entered and so on. 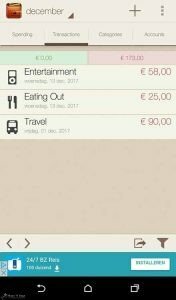 Since this app isn’t available for Android I tested a similar app on my boyfriend’s phone, Spending Tracker. This is an app for daily basis, but you can just select and add the categories you want, like transportation, food, etc. if you hold your phone in the landscape orientation the app shows you almost the same pie chart from Trail Wallet. 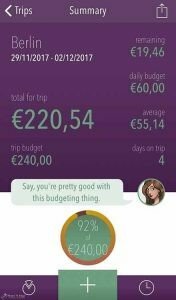 I downloaded this app to use on a trip, but we also use it now at home to share the expenses. You basically create groups of expenses with the friend, boy/ girlfriend you’re traveling with, enter the bills and select the way you want the bill to be split. In the end, you have a balance of who must pay who. Like the name says, this app is for the road trippers. 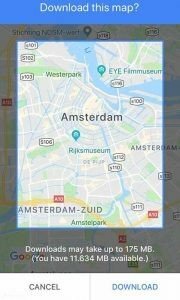 It shows places to eat, to take photos of, abandoned buildings, and a lot more along your trip. 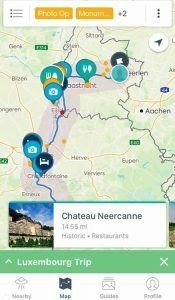 The fun part about a road trip is getting to know more about the way to your destination and with this app, you know where everything is. 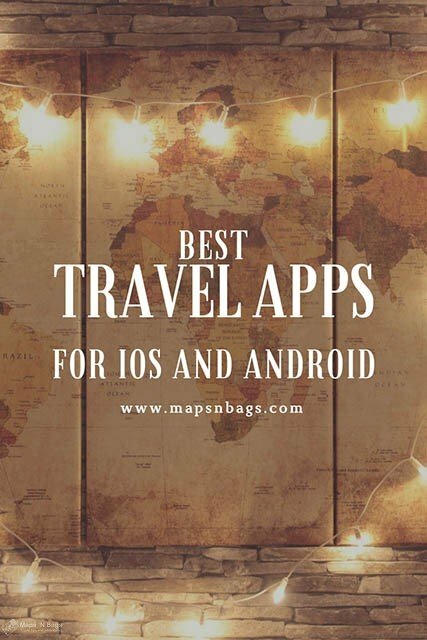 Do you already use some of the apps here mentioned? Which apps would you add to this list? Ahh, don’t forget to tell me what you think about these suggestions. I want to know if you find them useful. Inspired today? Pin this post so you can find it easily later. This post contains affiliate marketing link(s). Want to know why and what that is? Please, read my disclosure page. This entry was posted in Travel Tips and tagged Travel apps.